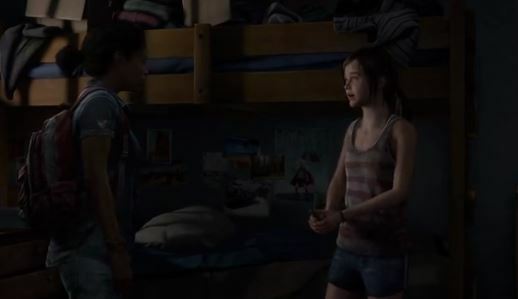 Description: A familiar face returns as new light is shed on an essential relationship in the story of The Last of Us. Naughty Dog continue to explore the themes of survival, loyalty and love in their first ever piece of single player downloadable content. Ellie returns, as new details are revealed about her relationship with Riley, her best friend from the military boarding school they both grew up in. After inexplicably disappearing for weeks, Riley reemerges with a surprising revelation. The two sneak out of their school for the last time, leading to a series of events that will change both of their lives forever. This entry was posted on 02/01/2014 by Byungsuk Kim in Gaming After Hours, Sony and tagged DLC, Left Behind, Naughty Dog, Playstation 3, PS3, Sony, The Last of Us.